SANTA CRUZ, CA — AUG. 6, 2018 — Adam Spickler, a senior analyst for Santa Cruz County’s Human Services Department who served as a senior aide to two state lawmakers, has announced his candidacy for the Cabrillo College Board of Trustees in the Nov. 6 election. A 2002 graduate of Cabrillo College, Adam is running for the Trustee Area 2 seat that includes parts of Santa Cruz, Live Oak and areas north stretching to the Summit. As a Trustee, Adam will bring an experienced yet fresh perspective to decisions impacting generations of future college students. He is running to ensure equal access to an affordable college education, strengthen and support educational diversity, and advocate for vital state funding for Cabrillo College. Adam administers child-welfare, housing support and employment services contracts for the County’s Human Services Department. Previously, Adam worked for two state lawmakers—California Senate Majority Leader Bill Monning and Former Assemblymember and current Natural Resources Secretary John Laird—assisting individuals and agencies on education, healthcare, social services, civil rights, housing, seniors and public safety issues. Adam’s public policy and financing experience has given him a deep appreciation for the complexities in addressing community needs, placing him at the heart of work being done by educators, government, nonprofits and business to improve our community. Prior to working in government, Adam was a leader in early childhood education. He is the former Director of Simcha Preschool at Temple Beth El in Aptos and taught at the Children’s Center of the San Lorenzo Valley in Ben Lomond. As a Cabrillo student, Adam held his first volunteer job at the Rosmarie Greiner Children’s Peace & Anti-bias Library at the college. A longtime LGBTQ activist, Adam came out publicly as transgender in 2010. If elected as a Trustee for Cabrillo College Board this November, Adam could become the first out, transgender man to be elected to public office in California. He has been endorsed by BAYMEC, a four-county political action committee supporting LGBTQ candidates and issues. 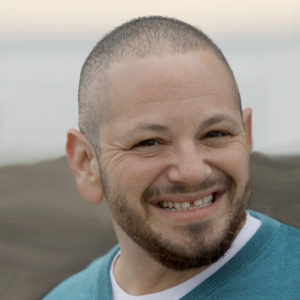 Adam also is a former, two-term Board President of the Santa Cruz County Diversity Center, an elected member of the Santa Cruz County Democratic Central Committee, and Communications Secretary for the GLBT Alliance of Santa Cruz County. Adam was appointed by the Santa Cruz City Council in 2014 to the Equal Employment Opportunity Commission, and is a former member of Santa Cruz County’s Women’s Commission. In addition to Sen. Monning, Adam’s endorsements include Santa Cruz County Supervisors John Leopold, Ryan Coonerty and Zach Friend; Santa Cruz Vice Mayor Martine Watkins and Councilmembers Cynthia Chase and Sandy Brown; County Schools Superintendent Michael Watkins and Superintendent-Elect Farris Sabah; County Board of Education Trustees Bruce Van Allen, Sandra Nichols, Rose Fillicetti; Watsonville Mayor Lowell Hurst; Scotts Valley Mayor Jim Reed and Councilmember Jack Dilles; and Capitola Councilmembers Stephanie Harlan and Jacques Bertrand. To learn more about Adam’s campaign, visit adamspickler.org or facebook.com/adamforcabrillo.